Is it snowing in Tignes ?Bedankt! Tignes is a high altitude resort in the heart of the ski country of France (part of the Espace Killy ski area alongside Val d'Isere) and is one of the best all-year round resorts in the Alps. 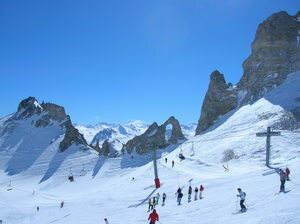 Every style and ability of skier/boarder is catered for at Tignes with 300km of pisted runs and an un-rivaled amount of off-piste easily accesible from the resorts modern lift network. Off the slopes Tignes may appear somewhat drab and ugly. 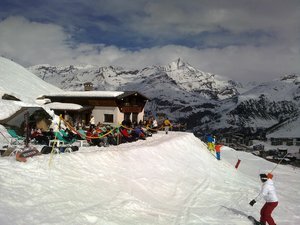 However, it offers everything a skier needs with restaurants and bars a plenty. Be warned though, prices in Tignes are more central London than rural France! I would just like to add that the piste map is dreadful compared to other resorts. It's a huge flimsy fold out sheet in small writing where it's not easy to read the names of the lifts. It's also difficult to distinguish the blue, green and blacks (although the reds do stand out). I suppose in the days of mobiles they think hard copies are obsolete. 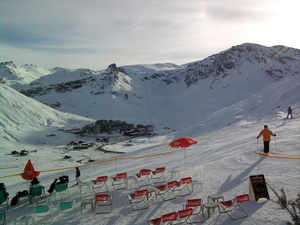 I'm in my 50s and think that Tignes mainly attracts younger people. It is not unusual to be kept up all night by party revellers. I've not experienced any quiet periods yet, but I'm really hoping for a lull. Its not a pretty resort and lacks character and charisma. Mainly ugly 60s high rises. Parking is problematic for those not working in the resort. You can't park outside your apartments or in the streets. The supermarket in Val Claret is a tiny, expensive Sherpa. Carrefour in Law is better stocked and cheaper. It's better to load up in Bourg at the big supermarkets if you are driving. 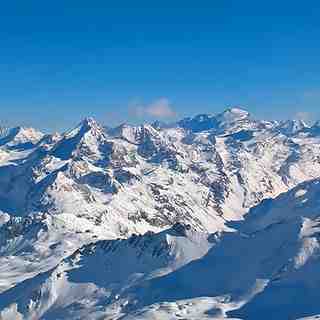 It was a lot cheaper to buy the season pass from Val rather than Tignes as they offered an Early Bird discount. If you are in your 20s and like the party scene you will love it.